When it comes to automobile and engine maintenance, there is so much to understand. Knowing which steps you should take for proper routing maintenance can be overwhelming if you don&apos;t know much about cars. However, one important test that your car should be able to pass is emissions and smog testing. Emissions and smog testing is important because it lets you know if your car is contributing a level of smog that is unsafe for the environment. Here are some ways to help your vehicle pass when it comes to emissions and smog testing. First, the best way to assure your car can pass an emissions check is to keep up with routine maintenance. This includes oil changes, filter replacements, rotating your tires, and more. It&apos;s also important to flush the cooling system and change coolant once a year. Most cars that don&apos;t pass emissions tests have another serious issue, so if everything in your car seems to be in good working order, you should be set to pass. When you feel as though you&apos;re ready for your car to undergo emissions and smog testing, don&apos;t have the test done if you have any doubts whatsoever. Your car should be in good working order before you have this test done. Make sure the &apos;check engine&apos; light isn&apos;t on, because it makes for an automatic fail. If your vehicle is from 1999 or earlier, it will be driven on a dynamometer, a device that measures the power output of an engine, while a small sample of its exhaust fumes is collected by the smog machine. Assuring that your vehicle&apos;s tire pressure is evenly distributed will help you pass the emissions and smog testing. Evenly distributed tire pressure allows for more stability and control during the test, and may be the deciding factor between a pass and a fail. Another tip you can use to help your car pass an emissions test is to drive it 20 minutes before arriving at the testing station. This allows the catalytic converter, coolant, and oil to reach their optimum operating temperature. Allowing time for your vehicle to reach optimum performance temperatures is a good way to increase your chances of passing the test. Finally, consider investing in a fuel additive to lower your emissions and pass the test. Fuel additives are generally poured into the gas tank of a vehicle during refueling. The additive mixes with the fuel and cleans carbon deposits in your car&apos;s engine intake and exhaust paths. It allows for more free-flowing air to circulate and increases overall engine performance. Overall, going through routine vehicle maintenance is never fun, but it is important. 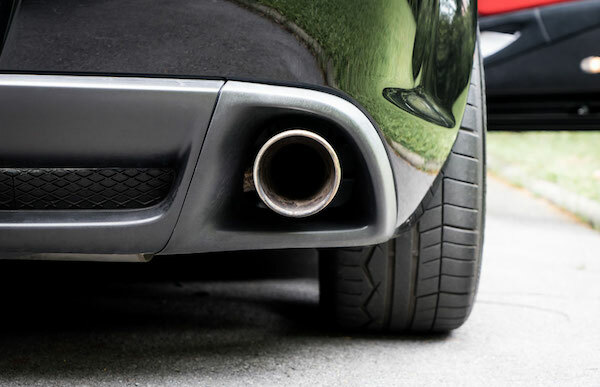 Any responsible vehicle owner should make sure their emissions testing is up-to-date and take measures to limit emissions and protect the environment.